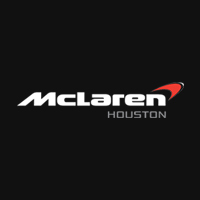 McLaren Houston is partnering with Houston Coffee & Cars for a charity event at Royal Purple Raceway on Saturday, October 8th. All proceeds will directly support the mission of Family Houston. This event is meant to combine the ‘need for speed’ and philanthropy in a unique setting that truly celebrates families. The event will feature a car show with hundreds of exotic vehicles, including a display of incredible McLaren vehicles, as well as classic vehicles brought to you by Houston Coffee and Cars. It will also include open racing on a quarter-mile drag-strip, and, a Kids Zone with unlimited access to fun, kid-friendly activities. Family Houston serves more than 77,000 people every year in the Houston area. The organization provides counseling, parenting education, help navigating through Veteran’s benefits or crisis assistance, among many other services. Their mission is to provide families and individuals with the assistance they need to strengthen themselves as well as their family relationships. Family Houston seeks to create a stronger community tomorrow by helping families and individuals find the strength needs to face the challenges of today.